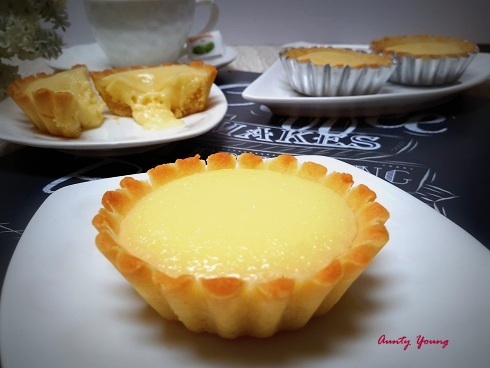 that is different from normal egg tart with it's lava bursting effect. 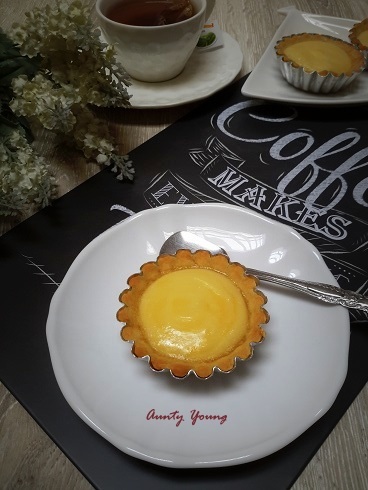 When I first ate this cheesy lava tart with my family at one of the outlets at KLCC, I was once more asked by them to duplicate it at home. 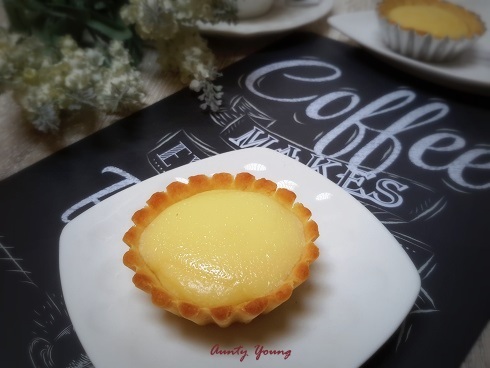 I received another request from a friend to share a recipe about this Tart. I think that's time (随缘) for me to give it a try. based on what I have in my fridge, I made some adjustments. Here is my version of the cheesy lava tart. Hope you will like it . 1. Cut the softened (but not melted) butter into small cubes, then mix it with the egg, icing sugar and flour, and knead it into crumbs. Gently knead the crumbs into a pastry dough and refrigerate for 45 minutes. 2. Remove the dough from the fridge and rest at room temperature for 15 minutes. 3. 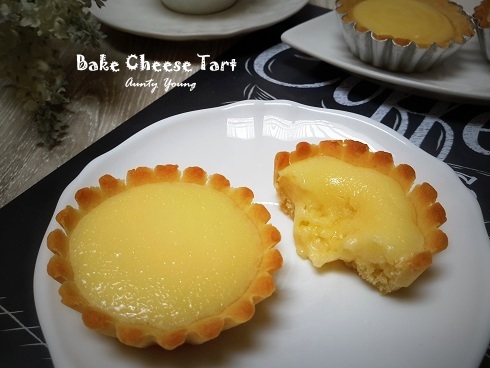 Divide the dough into 10 portions, and gently press each portion into a tart mould. Prick the base of each tart pastry lightly with a fork a few times. 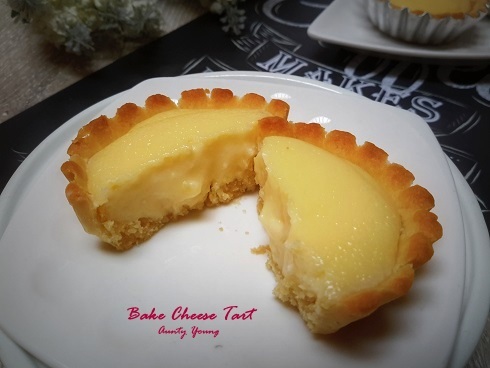 Bake the tart pastries at 180°C for about 10 minutes before setting aside to cool. 1. Heat up both cheese, icing sugar and whipping cream in a double boiler and stir until smooth. Add in the lemon juice, milk and corn starch and stir - mix until even. Remove from flame and allow it to cool before transferring to a pipping bag. 2. Pipe the filling into the cooled tart pastries. 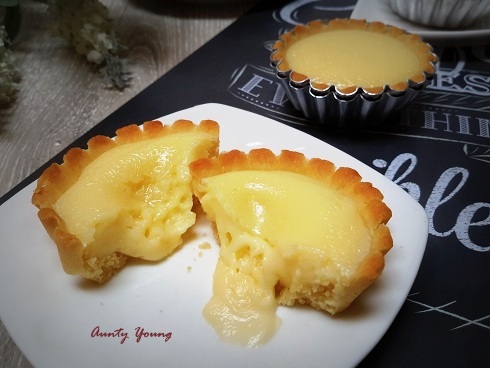 Refrigerate the tarts for 30 minutes before brushing egg yolk on the surface (this allows the surface of the cheese filling to dry up, which allows the brushing of the egg yolk).Skip the refrigeration step if you don't like egg yolk topping.Just bake the tarts immediately at 200°C for about 5 - 7 minutes, or until the filling swells up and turns a little golden brown. 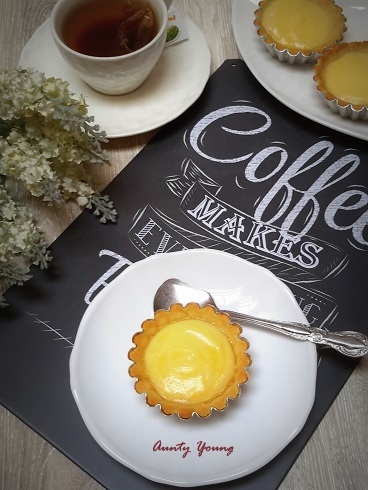 Slice open the freshly baked tarts while it is still hot to get the lava bursting effect. ~ Each oven has different temperature, so please adjust accordingly. 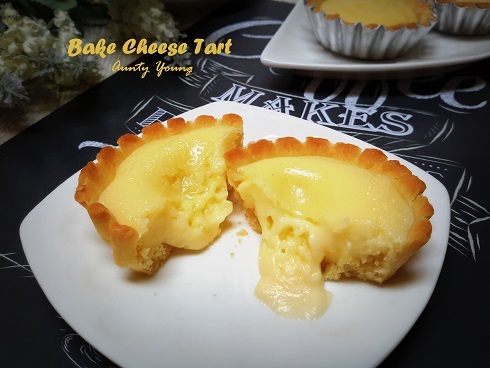 ~ Adjust the baking time according to preference to get fully baked or half baked fillings. Cut the softened (but not melted) butter into small cubes, then mix it with the egg, icing sugar and flour, and knead it into crumbs. Gently knead the crumbs into a pastry dough and refrigerate for 45 minutes. Pipe the filling into the cooled tart pastries. I only egg wash on 5 pcs of them.